Grooming is done by appointment, Monday through Friday. Please contact us via phone or email to schedule appointments. If you are unable to schedule during these days, we can often make accomodations to fit your needs. Thank you for visiting pawsnfurdetails.com. We provide professional grooming at your doorstep. 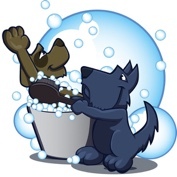 We offer quality services and provide many clean and happy dogs. We are currently accepting new dogs in the Wake Forest area. Please see our Services and Pricing tab for more information on what we offer. 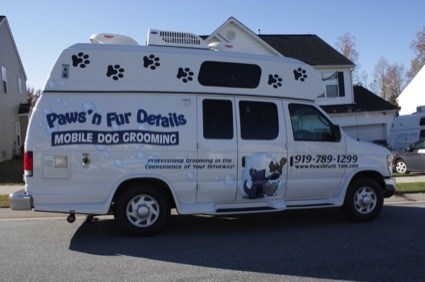 If you would like to setup an appointment, please call Courtney at (919) 789.1299 or send an email to courtney@pawsnfurdetails.com with your name, address, phone number and some basic information about the dogs you would like to have groomed.